Capture the essence of the dresses. 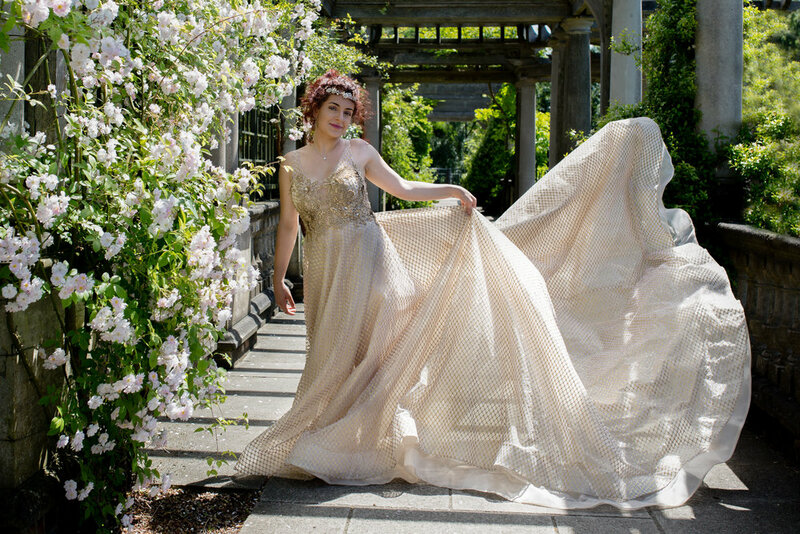 We had four models on the day, and we were in the super romantic and blooming Pergola Hill Garden. I was taking photos with Alexa Roche, my frequent partner in crime. I was taking photos with my Canon 5D Mark III. I had my tripod with me but didn't use it, as well as my off camera flash set up, and reflectors. I did anticipate some harsh shadows as we were shooting in the afternoon, but didn't end up using them. I was mainly taking photos with my new Sigma 35mm 1.4 ART lens. Can you see which photo I photoshopped a whole person out of?